Epcot with Toddlers–Yes it is possible! 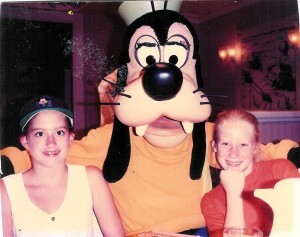 My partner Jodie over at http://allgoodinmommyhood.blogspot.com/ always has great insight on taking the kids to Disney and how to make the most of it. This week she shares with us things to to with a toddler in Epcot. YUP, you heard me right toddlers in Epcot. Enjoy her post, I know I did! As a Disney semi-expert (semi because there is always more to learn) I always cringe when parents tell me they are skipping Epcot Center for a lack of things to do with their toddler. Not only is Epcot a fabulous park for all ages, it’s a MUST DO. Along with rides, shows and shopping, there is much for kids to learn and experience when visiting Epcot. Before you blow off a stop at the “big golf ball” here are five tips to keep your toddlers entertained (and truckin’) in Epcot. Arrive at Epcot when the park opens. Bring your snacks, stroller and patience. Leaving home without any of these is sure to be a disaster in ANY park. Epcot is no different. When entering the park, head right after you pass the giant golf ball towards the Land Pavilion. This area of the park is great to start your day, with two attractions perfect for toddlers: The Seas with Nemo and Friends and Journey into Imagination. Inside the Land Pavilion you will find an educational ride, Living with the Land, and great snacks to refuel if you are low on goodies in your cooler. After enjoying the Land Pavilion area, walk across the park over to Test Track. Little boys may be too small to ride Test Track, but they are sure to love the car displays outside the ride. Innovations East and Innovations West are two action packed pavilions, filled with interactive games, exhibits and activities for kids of all ages. Just when you’re ready for lunch, around 11am, the World Showcase opens. Walking the countries is possible with kids, especially if you pace yourselves. Inside the World Showcase, you will find plenty of characters (Winnie the Pooh and Tigger in England, Sleeping Beauty in France and more) and a few great family rides. Don’t skip Norway’s boat ride (Maelstrom) and the Gran Fiesta Tour Starring the Three Caballeros in Mexico. Epcot is a treasure for parents and kids alike, with enough to keep you going all day long. With attractions for adults and kids, as well as delicious food options all around the park, this park is a must do for every family. Written by Jodie Moyer from http://allgoodinmommyhood.blogspot.com/. 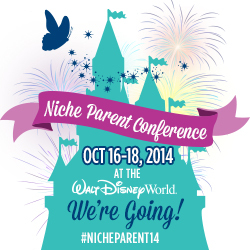 Be sure to visit her site for more great info about navigating Walt Disney World with kids. Everyone has a cause or organization that they are involved with, be it the School PTA or an Organization looking to raise funds for a mission trip or a sports competition. Did you know that you can set up a fundraiser and help those causes/organizations? 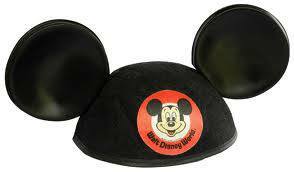 What is better than a trip to Disney or Universal Orlando and giving back! Here is a little more information on how this works. How Did Travel for a Cause Get Started? 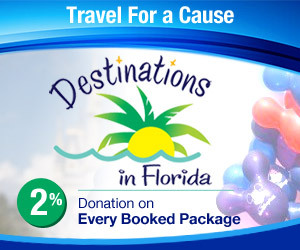 The owner of Destinations in Florida has worked or volunteered with non-proﬁt organizations for over 25 years. She knows ﬁnding funds for any organization is the hardest part of the job. When she started Destinations in Florida, she wanted to offer a simple way for organizations to raise funds. She started Travel for Cause where organizations can make donations on all travel, referred by the organization and booked by our agency. We donate 2% on all booked travel (before tax and airfare) that is referred from your organization. Our average travel booking is $3,500. That is $70 for you with just one booking! You are paid mid-month after the guest travels. For example, if a guest travels in April; you will be paid on May 15 for that travel in April. How Do I Market Travel for a Cause? Once you sign up for our afﬁliate program, you will have a travel agent as your contact. This travel agent is there to help you promote travel with ﬂyers or postcards to mail to your network or online ﬂyers and newsletters to email out to your network. We can provide banners/buttons for your website, blog or social marketing. Your agent will not only help you promote Travel for a Cause, but also book any of your guests. Will every guest that books get the same Destinations in Florida services? YES! We pride ourselves on the experience that the customer receives from the very first quote until the day they return from their Magical Vacation. 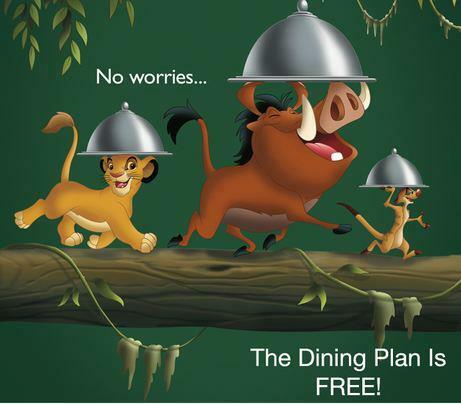 Each guest receives all of our FREE Services such as Mouseperks (Magic in Your Inbox), Discount Watching, Dining Planning, Itinerary Planning and much more! Who is Destinations in Florida? Destinations to Explore, also known as Destinations in Florida is locally based in Florida. We are one of the top 10 agencies (in the world) for Disney Destinations, 2009 & 2011 Disney Destinations Top Sales Performer, and an Authorized Disney Vacation Planner (recognition from Disney). 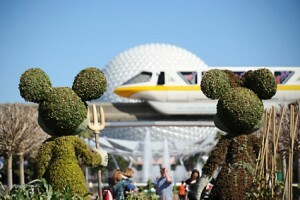 Destinations to Explore was also recognized as the 2010 & 2011 & 2012 Universal Studios Travel Agency of the Year. With school going back in session and so many fundraising needs don’t wait another minute to set up your Travel for a Cause Fundraiser this school year. Please contact Jennifer at jenniferg@destinationsinflorida.com for more information today. My love for Disney is not a secret obviously, I make my living off planning Disney vacations (among many other locations as well). 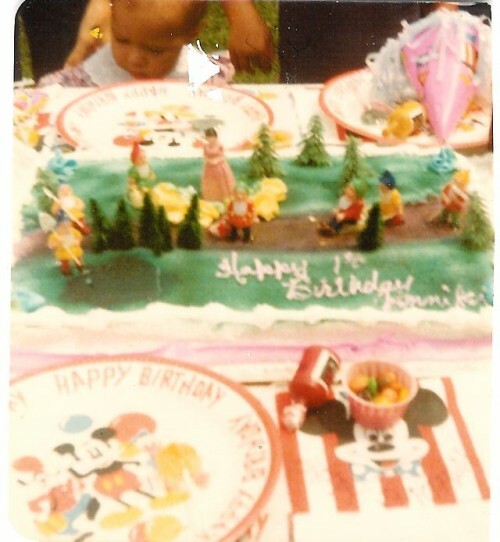 My Disney passion started at a young age, actually my 1st Birthday on Aug 28, 1979 to be exact (yup I just told you my age). My mom was famous for the birthday parties she threw us and my first was all Disney themed. Mickey Mouse decorations and a Snow White cake (homemade). I was in Disney heaven. And it was all downhill from there. How many Mickeys did I buy? My very first visit to Walt Disney World was in 1983 we drove down from Maryland and stayed “off-site” in the Disney Villages. Anyone remember those? It’s Downtown Disney now. This trip is where it all began for me. The love for Disney was solidified that week. I knew that there was no other place like it in the world. Mr Walt Disney had pioneered a theme park like no other, and I had been to a lot of theme parks. The one thing I miss most in Disney from this trip is River Country, that place was great. Did you ever get a chance to go there? 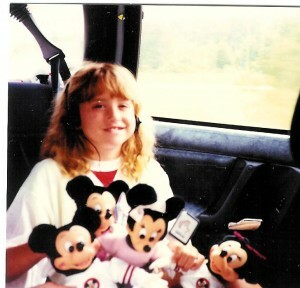 My first trip also started my love for Disney merchandise, I remember driving home from Florida and the back seat was just FULL of stuffed animals and anything else we could fit. My parents and husband thank you for this expensive hobby Mr. Disney. 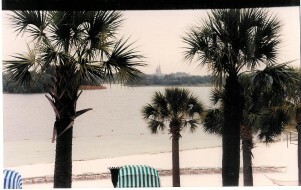 We returned to Disney in 1986 and this time we stayed at The Polynesian in a Theme Park View Room. Oh yeah this was the big time for Disney vacations. On this particular Disney trip Princess Diana and her boys were next door at the brand new Grand Floridian. A real princess and her little princes, it really doesn’t get more magical than that. I recall this trip a little more than the first. We did lots of character meals and enjoyed Pleasure Islands outside dance party at night. Alladin and Beauty and the Beast were all the rage in the parks, this was when Jafar and Beast were always out for meet and greets. Why do we only see Vilians and Princes in parades or special events? Add that to my list of Disney questions, this list just keeps growing that’s for sure. This was the trip I knew I always wanted to bring my kids to Disney and share the same magic and fun that I was able to experience as a kid. In 2008 I was finally able to take my oldest daughter to Disney ,she was 9 years old. We surprised her with this trip and loved every minute of it. So much had changed in Disney since my last visit and I loved that we shared many Disney “first’s” together. When we returned from that trip I knew I needed to get back to Disney as much as possible. We returned in 2011 with our youngest Princess. And we will be returning with the aunts, uncles, grandparents and everyone in between in January 2014. Planning that trip was also where I realized that this was something I loved to do, but how do you become a Disney Planner? Fast forward to 2012– I was playing on the internet and see an AD for Destinations in Florida hiring. Of course I think I’m not qualified, I have never sold travel in my life. But I do love DIsney and have helped many plan vacations in the last 3 years, why not give it a shot. I have never been more happy that I took that chance, or that Tim and Allison Jones believed that I would make a good agent. This job is a dream to me, making families vacations come to life and adding a little magic along the way is so rewarding and fun. I have never had a career that I loved as much as this one. I have met some fantastic people along the way as well and made some lifelong friends. I have returned (solo) to Disney twice already this year for trainings and learn so much I never knew. And thank you to my parents for taking me to my favorite place in the world twice as a kid. It began a love in me for something that I believed in, Disney Magic. And now I get to make these dreams come true for other kids and their parents. Last year, I attended Mickey’s Not-So-Scary Halloween Party. I will be going once again this year, which will be my second time going. I have been looking around, and it seems as if Walt Disney World has officially begun promoting Not-So-Scary for this year starting with a special announcement. New for 2013 is a meet-and-greet with Jack Skellington for the first time at the Magic Kingdom on Main Street U.S.A. throughout the party. Also, the Creeper Crew (Not A Fan at All) is returning. Now, I don’t mind the fact that Phineas and Ferb will be joining them, which is also new for 2013. In Tomorrowland, Mike and Sulley from Disney and Pixar’s ‘Monster’s University’ will be hosting a Dance Party similar to the one held on May 24th at the Monstrous Summer All-Nighter. Finally, there will be enhanced Trick or Treating opportunities this year with the recent addition of New Fantasyland. Anyways, last year, I just happened to go on a Dark and Stormy Night (Seems to fit in with the theme) and most of the activities were rained out. So, I have decided to supply Tips and Tricks (Pun Intended) for the Halloween Party on Rainy, and Not-So-Rainy days. Be sure to arrive as early as you can. You are allowed to enter at 4pm with the Halloween Party ticket, but I recommend getting there early, because they may let you in around 3:45. If it rains that night, stick around, as most of the performances will be delayed, if not canceled. Last year, the Fireworks were pushed back to almost 10:00pm and the Parade only ran once. They did not run the Mix and Mingle show at all that night, so I was disappointed. If everything is canceled, or you have a problem, don’t get mad at a Cast Member. Go to “Ghoul Relations” and solve your problems there. Unless nothing goes on that night, they cannot supply you with a rain check ticket. And with that, I will end my list of Tips and Tricks for Mickey’s Not-So-Scary Halloween Party. I will be posting more of these after September 27th, which is when I go or before, If they announce something else. For more information please visit our website at www.ReliveTheMagic.net. Here is a preview of Hallo-Wishes from last year! Thanks so much Dallas! If you are ready to book your Halloween trip to Walt Disney World contact me today for a FREE quote at jenniferg@destinationsinflorida.com. Jennifer is a Disney Vacation Planner with Destinations in Florida, a Authorized Disney Vacation Planner. Boys and Ghouls of all ages are invited to put on their favorite costumes and enjoy a spooktacular time at Mickey’s Not-So-Scary Halloween Party. This special-ticket event returns to Magic Kingdom® Park this fall with exciting new entertainment, character greetings and more! For the first time ever, you will have the chance to meet Jack Skellington and Sally, from Tim Burton’s “The Nightmare Before Christmas” on Main Street, U.S.A.
Over in Tomorrowland, Mike and Sulley, from “Monsters University,” scare up a good time at the Monstrous Scream-O-Ween Ball dance party on Rockettower Plaza Stage. 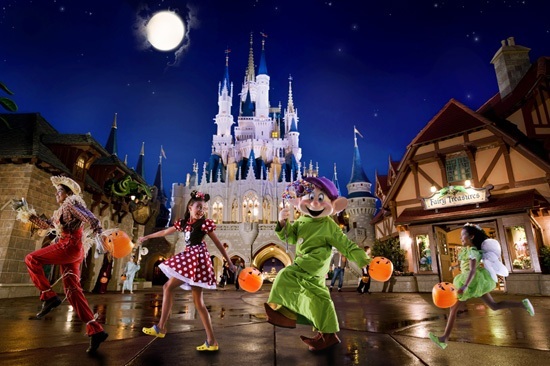 For 2013, you will also enjoy enhanced trick-or-treating along two treat trails – including one or two surprise treat locations along the way. And, Phineas and Ferb will be on hand on Main Street U.S.A. to help get the audience warmed up for fun while they await the arrival of the Boo-To-You Halloween Parade. This party favorite is back, complete with the Headless Horseman, Disney Characters in their Halloween costumes and the ghostly inhabitants of The Haunted Mansion. Finally, Happy HalloWishes fireworks spectacular invites you to “drop in” as Disney Villains tear up the night with glittering color and light. Mickey’s Not-So-Scary Halloween Party takes place from 7 p.m. – midnight on Sept. 10, 13, 17, 20, 24, 27 & 29; Oct. 3, 4, 6, 10, 11, 14, 17, 18, 20, 22, 24, 25, 27, 29 and 31; and Nov. 1, 2013. Prices vary based on event night. How about a trip to Disney and Universal Orlando? Everyone goes to Orlando to see the Big Cheese- Mickey Mouse. But did you know there is more to Orlando than just Walt Disney World? You can easily visit Universal Orlando Resort at the end of your Disney Vacation. Who doesn’t love that idea? With all of the new attractions at Universal Orlando including Transformers The Ride 3-D and the opening of the brand new Springfield USA how could you not want to visit. 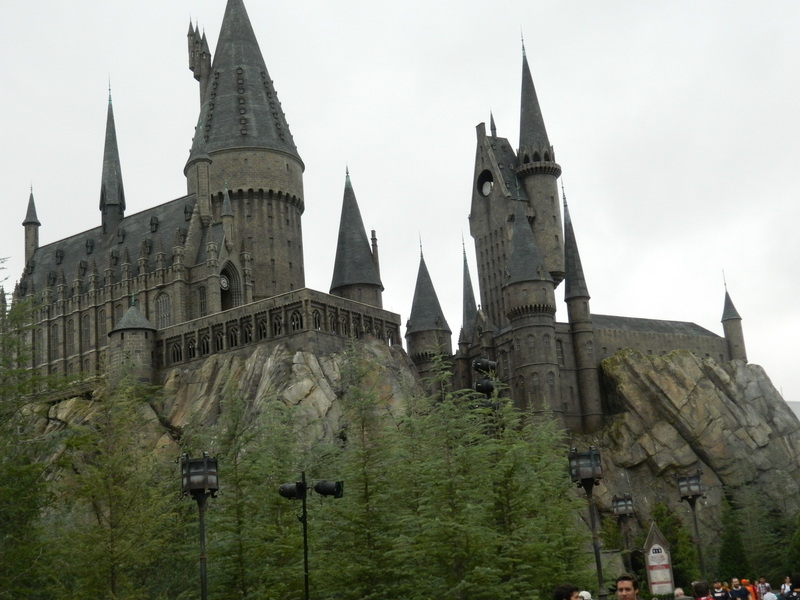 And don’t forget there is more than one famous Castle in Orlando, Hogwarts takes center stage at Islands of Adventure. You can add a 1, 2 or 3 night stay at a Universal Orlando On-Site resort and take advantage of the MANY perks such as Early Entry into the Wizarding World of Harry Potter, UNLIMITED Express Passes (front of the line access) and transportation from your Disney resort to your Universal Orlando Resort and then back to the airport at the end of your stay. So what are you waiting for, book your Magic and Adventure to Universal Orlando Resort today! It’s two vacations in one.